A popular Lincoln artist is to auction a palette and paintbrush used to create her published works over the last year to raise money for a specialist heart charity. Katy Jade Dobson will be raising money for Cardiac Risk in the Young (CRY), which works to reduce the number of sudden cardiac deaths in young people. The artist, whose works are generally sold for between £5,000 and £10,000, and often portray wildlife, animals and nature, was first made aware of CRY following a private commission for a portrait by a family who lost their child to a cardiac condition. Katy has a unique and recognisable painting style. Katy well-known for her bright colours and wild subjects. The paintbrush has been signed by Katy and comes with an original certificate of authenticity and letter of provenance from her publishers (Wishbone Publishing Ltd). 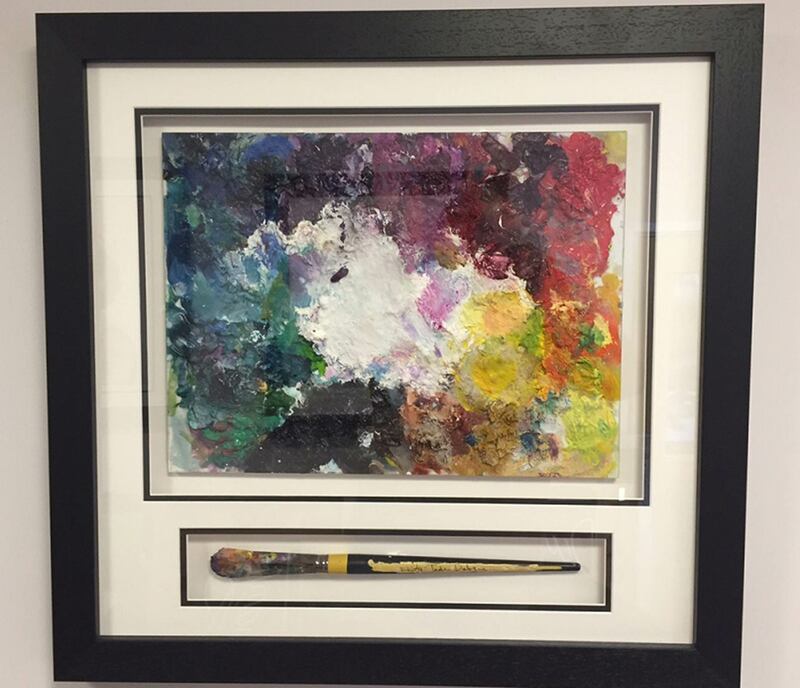 Anyone interested in bidding for Katy’s palette and signed paintbrush can do so on eBay from 7.30pm today (June 23). Further updates on Katy’s artwork can be found on her Facebook and Twitter pages. Yorkshire-born Katy said: “It should never be the case that a child or anyone should lose their life so suddenly over something that could potentially be diagnosed earlier on. “CRY’s incredible efforts towards Young Sudden Cardiac Deaths (YSCD) with their research, raising awareness and prevention efforts in this field are lifesaving. “The care and facilities to aid families affected by YSCD will continue to help so many people who desperately need it. Every week in the UK, around 12 people aged 35 and under die suddenly from a previously diagnosed heart condition, with 80% of these fatalities occurring with no prior symptoms. CRY’s screening programme now tests around 17,000 young people (aged 14-35) every year in the UK. The charity also funds research into the conditions that can cause young sudden cardiac death as well as providing a bereavement support network for families. Alison Cox MBE, chief executive and founder of CRY, said: “Over the past 20 years, we have seen a huge variety of fundraising ideas and challenges take place to help raise funds and awareness for CRY and the generosity of our supporters in terms of their time, commitment and talents has never failed to impress me.